Many years ago in a land far away, there was a genius named Moto who built a mystical box and called for brave adventurers to go forth and explore it. Explore a box? Why yes! For entering the box transports the brave adventurer to a magical 8bit virtual reality full of fun, excitement and wonder! 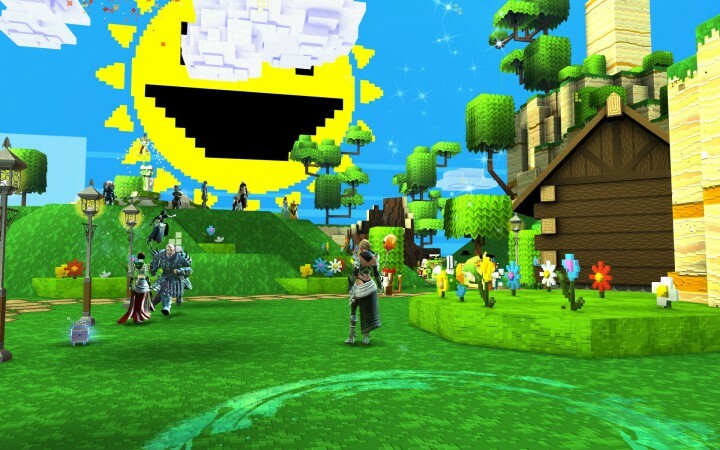 So the story of the Super Adventure Box in Guild Wars 2 goes back a few years to April 1st 2013 when it was introduced as an “April Fool“. 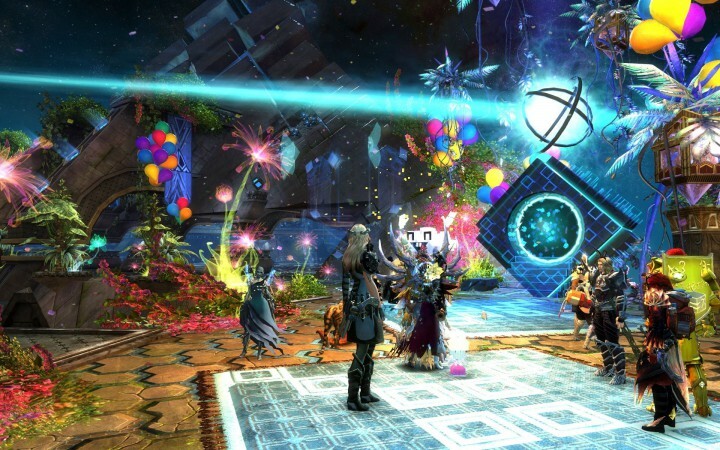 The staff at ArenaNet have a history of getting creative for April Fool’s Day and that year they unleashed a GW2 phenomenon that fans have raved about for years after, culminating in the “SAB or RIOT” movement to bring it back. A big part of the draw is how limited the time has been for players to experience SAB (which how most players refer to the Super Adventure Box). It would only appear for a few weeks and then vanish. The initial reception was so good that it came back with an expansion, but that time it didn’t fare so well because it was a lot longer and a bit too difficult. Then, it vanished and didn’t come back. The fans of SAB however would not give up, and called for it to return. Time passed and it emerged that the SAB was broken by changes made to the game engine and that “who knows?” when it might come back. This was compounded by the fact that the original SAB had been a work of mad science and labour of love of its chief creator, Josh Foreman, rather than a core project at ArenaNet. So in other words what had started out as a side project had become this major Guild Wars 2 phenomenon and fans were calling for some serious resources to help bring it back to life. Well, I have no idea what happened behind the scenes but ArenaNet are good sports and have brought the Super Adventure Box back for a three week festival starting on March 31st 2016 and it’s due to end on April 19th 2016. After that, who knows? All this time Moto has been standing by his box in Rata Sum and hopefully he’ll open it again from time to time for future SAB festivals. The actual contents of the Super Adventure Box are themed on 8bit platform and adventure games from years ago such as Mario and Zelda. These are games that I remember well and grew up with, so for older gamers this is a blast of nostalgia, puns and in-jokes that go back to that era of gaming. For the younger crowd it just seems like something original and different… and there’s just something zany and fun about seeing blocky graphics in an age that is fully capable of photorealism. 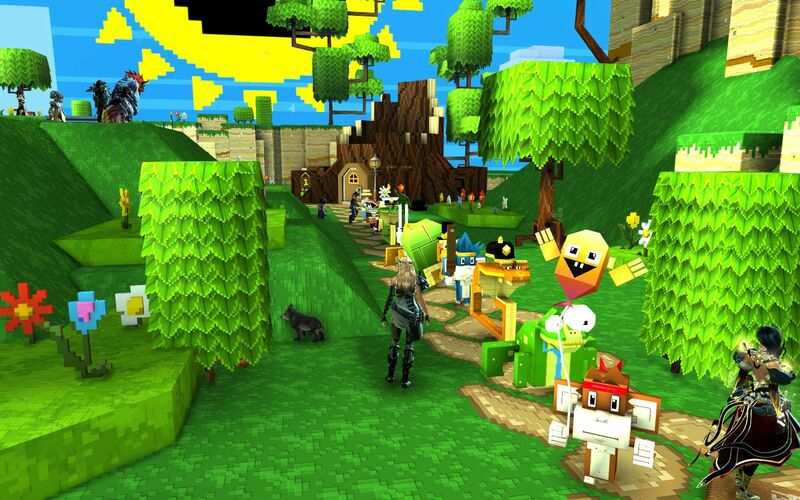 Basically, SAB is a big dose of fun nonsense that entertains people and that’s exactly what a game is supposed to do. Unlike in 2013 you can play SAB for free just by downloading the free client. There was a story some months ago about a player who was locked in the SAB forever, which sounds amazing… *ehem* I mean horrible, poor them! They did eventually get kicked out sadly before everyone could use Teleport-to-Friend on free accounts to go and join them, but anyway, such dramatic ways in are no longer required, thank goodness, and all and sundry can now enter through the front door. The physical location of the Super Adventure Box is in the asuran city of Rata Sum. Regardless of the race you choose for your character (human, norn, charr, sylvari or asura) you can teleport to the asura starting area via the waypoint at Soren Draa on the south-west part of world map. Once there you can run through the zone portal to Rata Sum and go enjoy yourself in the Super Adventure Box. Right now that would be where the hoard of players are milling about listening to weird 8bit sounds and other festive chaos. When the SAB festival ends on April 19th 2016, presumably things will be over until the next time. Hopefully it will be back sooner than it was last time! Now you might be a bit curious what’s inside the SAB. I mean, what can you do in there? The simplest answer is that SAB is a lighthearted 3D platform adventure that you can play in easy, normal or hard modes to suit your ability. The main story is that while attending Princess Miya’s picnic she is kidnapped by the evil Lord Vanquish and YOU, brave adventurer, must go save her. You are initially given a pointy stick as your only weapon and you must collect baubles with which to buy extra weapons and other items to help you out. Mainly you will be exploring, collecting and doing a bit of fighting as you adventure though 8bit themed levels. The 8bit soundtracks are pretty entertaining and the whole thing is just a bit of fun that will last you many hours if you want to do everything. Any progress you make with collecting items and baubles is saved between your adventures. If you want a guide to help you out, the 2013 Dulfy guide is the general go-to. Updates for 2016 are going up as well, so check out Dulfy’s front page for those if you need more help. Josh Foreman’s official developer notes are right here with further official links about this release. He does say SAB will be an annual event now so let’s hope to see SAB next year as well! As an afterthought I remembered ArenaNet’s Soundcloud page has many of the SAB tracks up on it. Maybe you don’t want to play SAB but you fancy listening to the tunes to put you in the mood? The SAB tracks were made by Maclaine Diemer and Leif Chappelle, and they’re in a playlist right here. You can listen for free. That’s it for now everyone, happy gaming. As always if you have any comments to share, please fire away in the comment section below. Been looking into Guild Wars based off of a friends recommendation and came across your site here. I must say that this does look pretty cool. As you said it captures the nostalgia of gaming past, but it also gave me that bit of a Minecraft look too. I am sure that helps with the younger crowd as well since for many of them that is there Super Mario World. I am glad that someone has merged a retro outlook with a catchy concept. It will be interesting to note how the gameplay adapts to the almost minimalist theme. The impression created is that the user will have lots of space their expression and maneuvering rather than depend on a fixed set of weapons and moves. Hope that is the case. This was a very insightful piece. Hi! The SAB levels are packed with secret rooms and buried treasures and the like so there is indeed a lot of exploration to do. World 2 gets a lot harder for people who want that, but personally I spend most of my time in World 1. It’s just so relaxing and charming and the enemies have some funny habits – moonwalking spiders anyone? Anyway, glad you enjoyed my write-up. Previous PostPrevious Bodum Mugs, with Handles?